The L1 Prowler Anorak Jacket would be a great mild weather jacket for someone who doesn’t see a lot of wet storms. There’s 40g of insulation that is really lightweight and it has 10k waterproofing. There’s a lot of fun features like the asym zip up the front, the rose gold zippers and the fancy grandma curtain liner in the hood. The only thing that I think this jacket is missing are pit zips, then you’d have everything you need for any type of condition or weather. 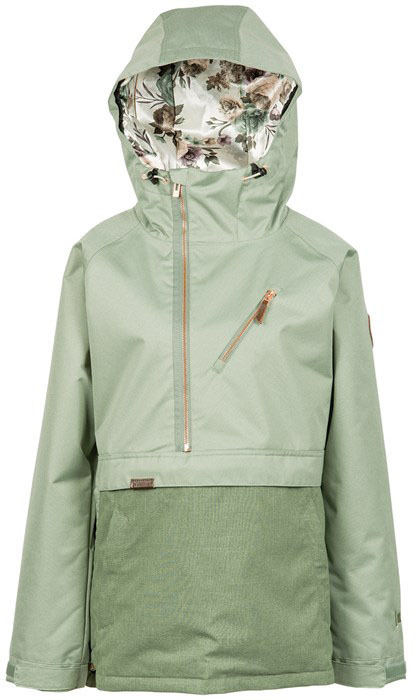 We try to get as many images of the L1 Prowler Anorak Jacket, but forgive us if they're not all there.